Custom engineered battery packs built to OEM specifications to optimize performance and packaging requirements for medical and mobility applications have been introduced by Aved Electronics, Inc. of North Billerica, MA. Aved Medical & Hi-Reliability Battery Packs are designed and built with the cell type and battery chemistry optimized with respect to voltage, cycles, pulse rates, capacity, charging, temperature, and packaging; as required. 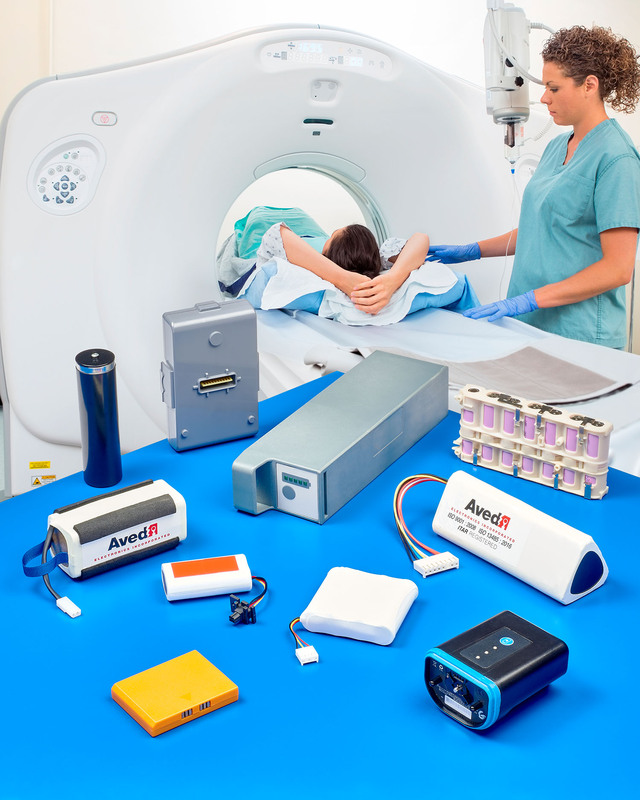 Ideal for critical care applications, Aved performs end-of-line verifica-tion and can simulate battery usage, record performance data, characterize the battery and provide resolute serialized test data for each battery pack. Featuring FDA and IEC 62133 compliant self-aware smart battery packs, Aved Medical & Hi-Reliability Battery Packs incorporate robust electronics and rapid charge times of 1 hr. to 85% where required. They can provide clean voltage with a typical < 5% deviation, 1000 + cycle operation, high pulses up to 100 A, capacities from 24 V to 200 V (10 A/hr. to 100 A/hr) and up to 4 kW, and operate from -30°C to +20°C depending upon application. Aved Medical & Hi-Reliability Battery Pack price quotations for OEMs are available upon request. Aved is ISO 9001, ISO 13485, and ITAR registered.